Monique* is a seasoned litigator who clients turn to for their toughest commercial disputes. Recognized as one of Canada’s top 50 trial lawyers, she has an enviable record of success at trials, making it clear that she leads§ her clients to a winning case. She is also admired by her peers and judges for her advocacy talents, earning the prestigious Douglas K. Laidlaw Medal for Excellence in Advocacy for 2017. If a complex case needs representation, Monique shows clients the way‡ from start to finish. Monique is also a leader outside of the courtroom. She is an Executive Member of The Advocates' Society Commercial List Practice Group, a past chair of the Gale Cup Moot Committee and regular advocacy instructor for the Advocates’ Society and Osgoode Hall Law School. .
Monique is litigation counsel in complex proceedings from inception through trial. She focuses on class actions, contract and shareholder disputes, civil fraud cases, injunctions, bankruptcy and insolvency matters, and securities and derivatives cases. Monique’s clients include major financial institutions, pharmaceutical companies, technology companies, and other multinational corporations who routinely face challenging, cross-border disputes. She appears at all levels of Court and in administrative tribunals. Monique has a record of success at trial in bet the company disputes. Monique is widely recognized as leading counsel. Benchmark Canada has identified her as one of Canada’s top 50 trial lawyers and Lexpert has identified her as one of the leading 500 lawyers in Canada. The Advocates’ Society awarded her the Douglas K. Laidlaw for Excellence in Advocacy. Monique is a member of the Toronto Commercial List Users’ Committee, an Executive Member of the Advocates’ Society Commercial List Practice Group and the past chair of the Gale Cup Moot. She is a regular speaker on various topics, including expert evidence, class proceedings, and injunction advocacy. She also teaches in the Intensive Trial Advocacy Program at Osgoode Hall Law School. Counsel to the defendant accounting firm in a claim alleging negligence and breach of trust against a former partner of the firm. Counsel to the Vendors in a condominium development project where the purchasers allege that the pre-construction project was wrongfully terminated. Counsel to the GIP Primus, LP in oppression proceedings brought by the Monitor in the context of Algoma's CCAA proceeding. Counsel to individual respondents in an application relating to a worldwide and multijurisdictional Mareva injunction, including Malaysia, Cyprus and Australia. Counsel in various proceedings on behalf of Ernst & Young, the court appointed Monitor of Hollinger Inc. and related entities in complex CCAA proceedings. Counsel to a household appliance manufacturer acquiring an asset under a right of first refusal in the context of Sears’ CCAA proceeding. Counsel to PearTree Financial Services involving the unlawful use of confidential client information by a departing employee and former joint venture partner. Counsel for Douglas Cardinal in proceedings to restrain the use in Canada of the Cleveland baseball team's name and logo on human rights grounds. Counsel to the defendants in a class action alleging failure to disclose foreign exchange fees in registered accounts. Counsel to a defendant electronics company in a proposed Ontario class action relating to allegations of price-fixing in the market for electrolytic capacitors. Counsel to Pfizer in an action for damages under section 8 of the PM(NOC) Regulations relating to Lyrica (pregabalin), a neuropathic pain drug. Counsel to the defendant developer in a class action alleging breach of contract and negligence relating to the installation of plumbing fixtures. Counsel to the successful applicants in an application to recognize and enforce a worldwide freezing order in respect of an aircraft. Counsel to CN in respect of an injunction seeking non-solicitation and non-use orders against a departing employee who removed and misused confidential information. Counsel to Pfizer in an action for damages under section 8 of the PM(NOC) Regulations relating to Lyrica (pregabalin), a neuropathic pain drug. The action proceeded to a five-week trial. Counsel to the Government of Canada in a lengthy Federal Court of Canada trial, in which the claim for $400 million involving allegations of procurement bid for engineering and technical services was successfully defended. Counsel to BMO Nesbitt Burns Inc. in an overtime class action brought by a former investment advisor on behalf of all BMO NBI investment advisors in Ontario. Counsel to a defendant in a multi-jurisdictional class action involving alleged price-fixing among automotive parts manufacturers. Counsel to Devonshire Trust in a case arising out of the disruption of the Canadian Asset Backed Commercial Paper market in August 2007. Devonshire Trust was successful after a lengthy trial. The Court of Appeal affirmed the trial judge's decision and found that Barclays' notice terminating the swap transaction was invalid because of Barclays' misrepresentation and bad faith. Read Lexpert's Significant Matters summary. Counsel to the defendant Corn Products International Inc. in a class proceeding alleging conspiracy to fix prices and restrain competition in the market for high fructose corn syrup. Counsel to the defendant in an action relating to an alleged oral agreement for shares in Pizza Pizza. Counsel to a former director and officer of Coventree Inc. in a regulatory proceeding before the Ontario Securities Commission in connection with disclosure obligations surrounding the collapse of the Asset Backed Commercial Paper (ABCP) market in Canada. Counsel in appeals to the Divisional Court and Court of Appeal. Counsel to the monitor in a complex insolvency proceeding involving a myriad of cross-border issues and over 100 interlocutory motions and other contested matters. Lenczner Slaght managed the creditor claims process, which involved the administration and coordination of the adjudication of hundreds of proven claims against Air Canada, with an aggregate value of CAD $8 billion. Counsel to the underwriter creditors in connection with CCAA proceedings relating to Poseidon Concepts. Counsel to the plaintiff in an action for breach of contract relating to the sale of industrial pipe. Counsel to the responding parties in contempt proceedings arising from an action relating to custom-built moulds for concrete pre-cast. Counsel to Valeant in a breach of contract action in respect of a pharmaceutical product. Counsel to the Ernst & Young Inc in the liquidation of ACE Aviation Holdings Inc. Counsel to the Ontario Power Authority in relation to the review of the construction and relocation of two gas plants by the Ontario legislature's Standing Committee on Justice Policy. Counsel for a bonding company in a bankruptcy of a construction company. Counsel to the applicant lender. Successful in obtaining a Mareva injunction and receivership over the respondent, a guarantor of the loans. Counsel to a defendant electronics company in a proposed British Columbia class action relating to allegations of price-fixing in the market for capacitors. Counsel to defendant underwriting syndicate in a securities class action. Counsel to General Electric Canada in connection with the CCAA restructuring of Northstar Aerospace. Counsel to Boiron, a Quebec based company, in a class action alleging misrepresentations in the marketing of a homeopathic medicine product. Counsel to the Attorney General of Canada in a negligent misrepresentation action relating to pension benefits. Successful appeal of the trial judge's apportionment of damages. Counsel to CN Railway in a successful proceeding for an order removing a defamatory blog. Counsel to the Government of Canada in an action to set aside a trial judgment on the grounds of the fraud of the plaintiff in obtaining the judgment. Judgment successfully set aside at trial. Counsel to Canadian National Railways in successfully responding to an appeal of an order approved transaction in a bankruptcy. Successful motion by the defendants for an order quashing notices of examination and a motion to set aside a consent order on the grounds that the notices and motion were frivolous, vexatious and an abuse of process. Counsel to CN in a complex dispute involving employee fraud, accounting of profits, abuse of process, defamation and negligent exercise of statutory dispute. In the course of the proceedings, obtained Anton Pillar and Mareva injunctions in order to protect evidence and assets related to the alleged employee fraud. Canadian counsel to Calpine Corporation in the complex, cross-border Calpine insolvency proceeding which included CCAA proceedings in Alberta and simultaneous Chapter 11 proceedings in the U.S. Bankruptcy Court. At the time of filing, Calpine was the sixth largest case to file Chapter 11 in U.S. restructuring history and one of the largest CCAA proceedings in Canadian restructuring history. Counsel in an appeal of a decision of the Municipal Board rescinding appointment of a member of the Conservation Review Board to the Municipal Board and decision directing the Town to permit relocation of two heritage buildings. Counsel to the Court-appointed inspector, Ernst & Young, in proceedings relating to Hollinger Inc. Included a successful motion and appeal to examine a witness under oath, in face of an argument that it violated constitutional rights which protected self-incrimination. Counsel for the plaintiff successful trial of an action by the Ice Gardens for breach of contract for failing to pay for naming rights. Counsel for the plaintiff on a motion for injunctive relief enjoining defendant from using confidential information, competing with or soliciting employees from the plaintiff. Counsel to a defendant in a commercial dispute. Successfully moved for an order to dismiss the action because it was commenced without proper authority. Counsel to the defendant physicians in a medical negligence claim alleging a failure to diagnose a bowel obstruction in a timely fashion. Counsel for the defendant in an action for breach of a lease. Counsel for the defendant physician in a civil action. Successful motion and appeal, dismissing a third party claim on the grounds that it was statute barred. Counsel for Richter in an appeal of a refusal to set aside a default judgment. Counsel on motion by a creditor in CCAA proceedings to be included in court ordered mediation process. Counsel for the applicant in a successful application for a declaration that the applicant was the sole shareholder of a company. Counsel in an application to quash the notice of hearing of the Ontario Securities Commission on the grounds of bias. Counsel to director of YBM in Ontario Securities Commission proceedings relating to disclosure obligations and securities class action proceedings. Counsel on a successful motion for payment of a success fee to an investment advisor for conducting a marketing process undertaken by the Receiver. Counsel for the defendant at trial of wrongful dismissal claim. Successfully defended claim for portion of profit sharing plan. Successful defence of motion to stay or dismiss application on the basis that it was not commenced with the authority of the applicant and on the basis of forum non conveniens. Counsel to successful defendant in a trial of an action for the repayment of an advance of funds put into a business venture. Counsel as amicus to the Superior Court in an application brought by The Corporation of the City of Brantford for an interlocutory injunction to prevent work stoppages on municipal sites within the City, and a motion brought by the respondents, First Nations' individuals, seeking to set aside two by-laws passed by the applicant prohibiting the blockage and disruption. It’s no surprise to litigators that some courts tend to be relaxed with the rules of evidence in civil cases. In many contexts, courts are prepared to admit inadmissible hearsay evidence and simply address evidentiary concerns by noting that such evidence may be given less weight. That type of approach was often taken in cases under section 8 of the Patented Medicine (Notice of Compliance) Regulations. The "corporate veil" is an old and well-establish concept. Corporations are separate legal entities under the law and, generally, liability will not flow through the corporation and onto the owners and directors. This is why a corporate bankruptcy doesn't result in a flurry of debt collectors knocking on the door of every shareholder. Canada’s leading litigation firm is proud to have acted in one of Lexpert’s Top 10 Deals of 2018. Algoma Steel Inc. was featured in the February issue of Lexpert Magazine as one of the most impactful deals in Canada last year. Lenczner Slaght represented GIP Primus, L.P. and Brightwood Loan Services L.L.C. in connection with the sale of the port assets with a team consisting of Peter Griffin, Monique Jilesen, Scott Rollwagen, Matthew Lerner, Christopher Trivisonno, Robert Trenker. Lenczner Slaght is once again recognized as the #1 firm in Toronto for Litigation and Commercial Litigation by the 2019 Lexpert/American Lawyer Guide to the Leading 500 Lawyers in Canada. Monique Jilesen and Shara Roy were mentioned in the Lawyer's Daily article "Forum Highlights Perspectives of Women in Litigation" on December 5, 2018. The article revisits a Benchmark Women in Litigation panel, led by Monique Jilesen, and highlights the perspectives of the women panelists and their opinion on what can be done to bring more female voices to the table. Our expert litigators continue to be recognized as the foremost litigators in their fields by peers and senior members of the legal profession. Monique Jilesen was mentioned in the Law Times article “Crown must pay costs after being ‘overly enthusiastic’” on July 30, 2018. Monique Jilesen, a partner at Lenczner Slaght Royce Smith Griffin LLP, says lawyers must tread carefully when they get into the merits of a proposed class action, even as early as certification, as parties try to get as much information as possible. That’s especially the case with expert witnesses, since Canadian procedure doesn’t usually have discovery of expert witnesses in advance of trial. “It was just a disproportionate request to what was being asked,” Jilesen says, who was not involved in the case. Nine partners from Canada’s leading litigation firm are ranked as leading the way in cross-border practice excellence. Lenczner Slaght is proud to announce Monique Jilesen has won the 2018 Lexpert Zenith Award for Mid-Career Excellence in the Corporate Commercial Litigation category. We are proud to announce that Peter J. Osborne, Monique Jilesen, Shara N. Roy, and Chris Kinnear Hunter have been elected to prominent executive positions at The Advocates’ Society, a preeminent organization dedicated to promoting effective advocacy and access to justice. Monique Jilesen is featured in the Commercial Law episode of the Lawyered Podcast hosted by Husein Panju. On this episode, Monique shares her insight and expertise on important Canadian legal issues in Commercial Law, including third-party litigation funding, summary judgement procedures and the development of the duty of good faith. Monique Jilesen is quoted in the Canadian Press article Ontario activist still wants to proceed with Cleveland Indians complaint, despite team dropping logo, which has been picked up by the National Post, the Globe & Mail, and Global News. The article discusses the recent decision made by MLB and the Cleveland baseball team to discontinue the use of the discriminatory Chief Wahoo logo. Following a year and a half of ongoing litigation on this matter, Lenczner Slaght and Douglas Cardinal are delighted by the decision of Major League Baseball and the Cleveland baseball team to discontinue the discriminatory Chief Wahoo logo on the Cleveland uniforms beginning in 2019. Canada’s leading litigation firm is one of two firms with the highest number of lawyers ranked in Corporate Commercial Litigation in the 2018 Lexpert®/American Lawyer Guide to the Leading 500 Lawyers in Canada. World-renowned Canadian activist for Indigenous Peoples, Douglas Cardinal, is continuing the fight against the Cleveland’s baseball team’s name and logo. A total of 13 Lenczner Slaght litigators have once again been ranked among the foremost litigators in their field in the 2017 Lexpert/ROB Special Edition: Canada's Leading Litigation Lawyers. Essar Steel Algoma Inc. et al (Re), 2017 featured in the 2017 issue of Lexpert/ROB Special Edition: Canada's Leading Litigation Lawyers as one of the Top 5 Big Suits of 2017. In this particular litigation of significance, Lenczner Slaght's Peter Griffin, Monique Jilesen, and Matthew B. Lerner represented GIP Primus LP and Brightwood Loan Services LLC. Monique Jilesen appears on the cover of the 2017 issue of Lexpert/ROB Special Edition: Canada's Leading Litigation Lawyers. She is also quoted in the article The Anonymous Representive where she discusses anonymous representative plaintiffs in Canadian class action law suits. Almost half of the partners at Canada’s leading litigation firm are ranked with one Litigation Lawyer to Watch and 12 Leading Cross-Border Litigation Lawyers. Lenczner Slaght is very proud to announce that Monique Jilesen has joined an elite group of international trial lawyers. The Advocates’ Society honours Monique Jilesen with the 2017 Douglas K. Laidlaw Medal for Excellence in Advocacy. 12 Lenczner Slaght leading litigators are ranked in Benchmark Litigation's 2017 directory. Monique Jilesen was quoted in the Canadian Lawyer article Third-party litigation funding on January 3, 2017. Number of Lenczner Slaght lawyers ranked in the year-end Lexpert Special Edition published in conjunction with Report on Business magazine jumps to 16. Monique Jilesen is quoted in the Lexpert / Report on Business article Keeping it Affordable from November 25, 2016. Monique Jilesen is quoted in the article Admissibility and Perceived Conflict in the December 2016 issue of Lexpert Magazine. Monique Jilesen is quoted in the New York Times article Battle Over Indians’ Name and Logo Moves to the World Series on October 22, 2016. Monique Jilesen was quoted in the New York Times / AP articled Cleveland Indians Can Use Logo and Name in Toronto, Says Canadian Judge on October 17, 2016. Monique Jilesen is quoted in the Canadian Press / TSN article Activist seeks injunction against 'Cleveland Indians' name and logo on October 16, 2016. Monique Jilesen is quoted in the ESPN article Judge asks how ALCS will be played if Indians logo banned on October 17, 2016. Monique Jilesen is quoted in the article Ontario makes a call, U.S. on hold from the July 2016 issue of The Bottom Line. Monique Jilesen is mentioned in the June issue of Advocacy Matters, with insight on how to manage your relationships via social media. Canada's leading litigation practice once again tops the list of litigation firms in the 2016 Lexpert®/American Lawyer Guide to the Leading 500 Lawyers in Canada. Monique Jilesen was quoted in Law Times on August 17, 2015 on the Court of Appeal decision in Rea v. Wildeboer involving a public company where the specific allegations, essentially of insider trading or self-dealing, solely involved harm to the corporation as opposed to harming the specific interests of a shareholder. Recognized by Canadian Legal Lexpert® Directory as leading practitioners. Monique Jilesen was quoted in Canadian Lawyer on May 27, 2015 regarding the recent Court of Appeal decision in Rea v. Wildeboer. Monique Jilesen was quoted in the May 18, 2015 issue of Law Times regarding the decision in Nortel Networks Corporation (Re), 2015 ONSC 2987. Monique Jilesen was quoted in Law Times on whether online courts and dispute resolution are in Ontario's future and what that would mean to lawyers. 14 Lenczner Slaght litigators ranked in Lexpert 2014 Guide to the Leading U.S/Canada Cross-Border Litigation Lawyers in Canada. Lenczner Slaght Lawyers listed in the year-end Lexpert Special Edition published in conjunction with Report on Business magazine. How will Fulawka affect overtime cases? Monique Jilesen was quoted in the September 1, 2014 issue of Law Times regarding overtime cases in Ontario. Monique Jilesen was quoted in the August 4, 2014 issue of Law Times on privacy interests of Internet subscribers. Canada's leading litigation practice continues to add new names to the list. Monique Jilesen presents on Preparing and Conducting an Effective Examination-in-Chief at the Advocates' Society Civil Litigation Skills Certificate Program on December 6, 2012. Monique Jilesen honoured with Lexpert Rising Star award. Monique Jilesen presents on the use of Receiver's in family law at the Law Society of Upper Canada Six-Minute Family Law Lawyer 2012 program on December 5, 2012. Tom Curry, Monique Jilesen and Brendan Gray, counsel to Devonshire Trust, successfully defended against a $1.2 billion claim by Barclays Bank PLC. Monique Jilesen will be a Co-Chair at The Advocates' Society's first ever program that focusses specifically about advocacy on the Commercial List. As a seasoned Commercial List litigator, Monique will be sharing expert tips about the dos and don'ts for 9:30 appointments, pre-trial hearings, judge-led mediations, electronic hearings, and more. At the 2019 Annual CCCA National Conference for in-house counsel, Monique Jilesen will be a member of the plenary panel called “Get Ahead of the Pack: Best Practices for Advising the Board When a Dispute is on the Horizon”. She will sharing expert practical advice on litigation avoidance, pre-litigation planning, and sharing risk. Monique Jilesen was a panellist at the Federation of Asian Canadian Lawyers conference. She was part of a team discussing Gender, Diversity and Equality. This session contributed to the conference's theme of Practicing Law and Humanity and how the legal profession can achieve better diversity and equality in all areas. Monique Jilesen was a faculty member at The Advocates' Society's program Cross-Examination: Strategies for Success. The session was part of the Civil Litigation Skills Certificate program. Monique provided expert advice on how to take and keep control of witness testimony. Monique Jilesen hosted An Evening With the Commercial List, a popular event featuring Commercial List judges, and litigators at The Advocates' Society. This was an opportunity to see your fellow law professionals in a less formal setting. Monique Jilesen and Shara Roy co-authored the Lawyer's Daily article Successfully Managing Complex Litigation which was published on November 29, 2018. Monique Jilesen was the moderator for two panels at Lexpert's Litigation Funding event. The first panel was called "What is litigation funding, what types of cases are suitable, how do companies typically use funding and how does the process work?" The second panel called "Due Diligence Process" covered the preparation needed, high-level assessment, and taking a deep dive on due diligence. Monique Jilesen was a panellist on the Cavanagh LLP Professionalism Speaker Series at the University of Ottawa on November 15, 2018. She spoke about equitable and inclusive hiring practices in the law firm. Monique Jilesen and Shara N. Roy spoke at the Benchmark Women in Litigation Toronto Forum. They participated on the panel “Successfully managing complex litigation” with in-house counsel from Fengate Capital Management, Telus and PwC. Monique Jilesen was the Co-Chair for the "Objection, Your Honor!" session at The Advocates' Society's Annual Civil Litigation program. As an experienced litigator, she spoke on how to make effective objections in the courtroom. Monique Jilesen presented at OBA's program on Successful Civil Appeals. She spoke on the topic of writing a persuasive factum. Monique Jilesen spoke at The Law Society of Ontario's program "The Intersection of Business and Family Law for Family Lawyers". She spoke on the topic of Corporate Divorces & OBCA Remedies which touched on Windups, Oppression, Derivative Actions and Other Options. Monique Jilesen taught at The Advocates’ Society's In-House Advocacy Training for Norton Rose Fulbright Canada LLP. She was a skills instructor during the education program which consisted of faculty discussion, demonstration sessions and mock skills exercises. Monique Jilesen spoke at The Advocates’ Society's Leadership Skills for Litigators program. She took part in the panel entitled "Team Leader: Build Effective Teams and Avoid Toxic Relationships". Monique Jilesen spoke at the Advocates' Society's breakfast program on the Top Cases in Commercial Litigation from 2017. Monique Jilesen spoke on the Litigation Panel at the 14th Annual Asian Canadian Law Students Conference, which took place on March 3, 2018 at the Ontario Bar Association. Monique Jilesen once again served as faculty for The Advocates' Society professional development workshop Winning Injunctions on November 24, 2017. Monique discussed the skills and strategies required to seek and oppose injunctive relief. Monique Jilesen was a mentor for two group mentoring discussions on the following topics: "Getting Noticed: Effective Self-Promotion" and "Practice Development and Profile Building". Monique Jilesen served as Faculty at the Osgoode Professional Development Intensive Trial Advocacy Workshop, Advanced Skills Series. Monique Jilesen spoke about examining witnesses at Your First Civil Trial for the Ontario Bar Association. Monique Jilesen presented on closing arguments at the Advocates' Society 2017 Toronto Courthouse Series: Telling a Compelling Story. Monique Jilesen served as faculty for The Advocates' Society skills workshop Winning Injunctions on December 5, 2016. Monique Jilesen spoke at the session on Injunctions Primer for Litigatiors at the Donald Lamont Learning Centre on November 1, 2016. The Advocates' Society: Objection, Your Honour! Monique Jilesen co-chaired The Advocates' Society: Hitting Your Stride event at The Advocates' Society Education Centre on June 1, 2016. Monique Jilesen chaired a session at Osgoode's 13th National Symposium on Class Actions on April 21 & 22, 2016. Monique Jilesen spoke at The Advocate' Society: Costs of Submissions Advocacy on Recent Developments and Future Directions of Costs on April 21, 2016. Monique Jilesen co-authored an article in the March 2015 issue of the Class Actions Defence Quarterly. Monique Jilesen's article on remedies for corporate victims of fraud appears in the March 13, 2015 issue of the Lawyers Weekly. 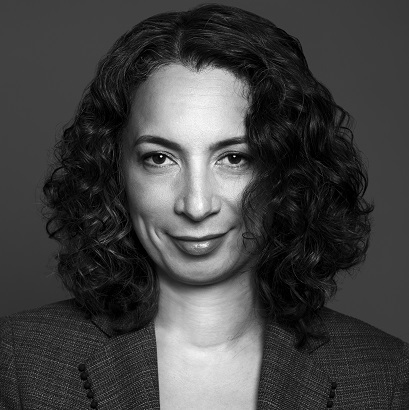 Monique Jilesen spoke at the Law Society of Upper Canada's program Expert Evidence for Litigators on November 7, 2014. Monique Jilesens article appears in the October 3, 2014 issue of Lawyers Weekly published by LexisNexis Canada Inc.
Monique Jilesen will be speaking at The Advocates' Society Understanding Financial Statements program held on June 10, 2014. Monique Jilesen presented on the most recent issues surrounding economic torts on November 21, 2013, hosted by the Ontario Bar Association. Monique Jilesen is a co-lecturer at this conference held in Toronto on September 17 & 18, 2013. Peter Griffin, Monique Jilesen and Eli Lederman were among the distinguished guest lecturers at the 34th Annual Intensive Trial Workshop held in Toronto on July 7-14, 2013. Monique Jilesen is a guest speaker at the Advocates' Society Civil Litigation Skills Certificate Program held on Wednesday, May 15, 2013. Monique Jilesen was a skills instructor at this Civil Litigation Skills Certificate Program, hosted by the Law Society of Upper Canada.